Being a direct descendent of Shito-Ryu, Shukokai inherits the characteristics of both the Naha-te and Shuri-te styles of Okinawan Karate. Kenwa Mabuni merged the techniques and principles of the styles he learned from his teachers Kanryu Higaonna, and Anko Itosu to form his Shito-Ryu style of Karate. As such, Shukokai combines the circular breathing techniques from Naha-te and the quick linear movements of the Shuri-te styles. This is apparent in the katas performed within Shukokai. Katas like Sanchin, Tensho, and Seienchin are handed down from the Naha-te traditions, while katas like Annanko, Matsukaze, and Bassai-Dai are handed down from the Shuri-te traditions. Upon close examination, one can see the similarities between Tensho, Sanchin, and Seienchin, and the similarities between Bassai-Dai, Annanko, and Matsukaze, and what makes the Naha-te katas different from the Shuri-te katas. Master Mabuni's experience with both the Naha-te and Shuri -te styles was why he was renowned throughout Japan and Okinawa as the foremost expert on kata. Another attribute that distinguishes Shukokai Karate from other styles is the execution of techniques. While Shukokai shares many of the same punches, kicks, and blocks found in other popular styles of Karate, it is in how these are executed that sets Shukokai apart. Sensei Tani began studying Goju Karate while at Junior High school. When he entered the Doshisha University, he began studying Shito Ryu Karate. 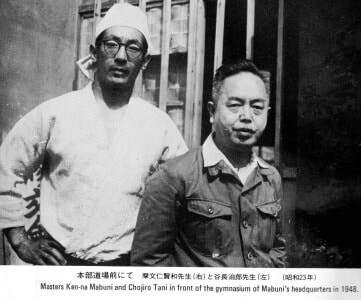 Upon receiving his Menko (Teachers Certificate) from Kenwa Mabuni, Sensei Tani began teaching Tani-Ha Shito Ryu at his own Dojo in 1948. He proudly hung a wood carved sign above the entrance which said Shukokai. 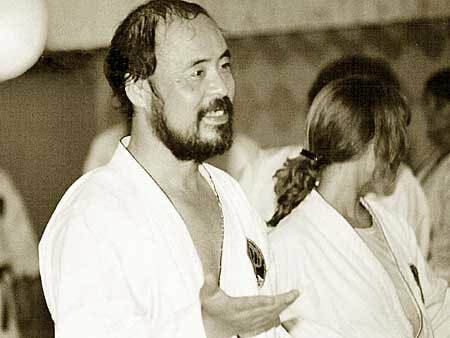 Sensei Tani sought to perfect his style by studying the mechanics of the human body and developed techniques which can be delivered with maximum efficiency. 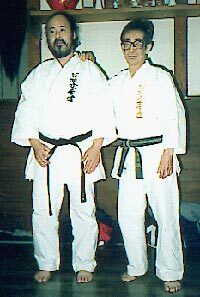 Over a long period of time Sensei Tani evolved and developed Shukokai. He always laid stress on the importance of etiquette, discipline and mental control and was at pains constantly to promote the improvement of technique. 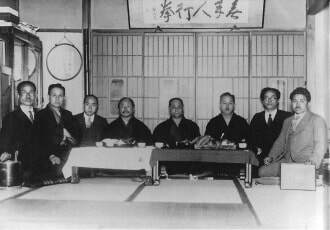 When Sensei Tani retired as Chief Technical Director he appointed Shigeru Kimura (9th Dan) as his successor. Sensei Kimura had won the World All-Styles Championship when only 21 years of age and had twice been the All-Japan champion before retiring from active competition. technique, no matter how powerful, was useless if it could not be delivered under combat situations. life with the end result being the traditional, yet combat-effective style of Karate we call Shukokai. Every technique executed within Shukokai has these defining principles at their very core. 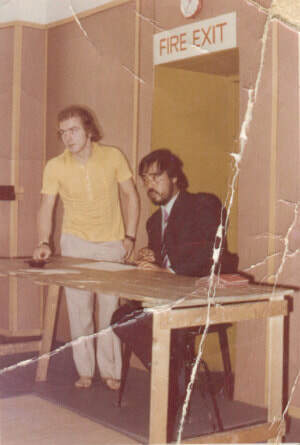 first club in August 1977. The Shukokai Karate Club now has 15 clubs currently in Central Scotland.